Jesse’s Summary: I can finally get on on my Doc’s, sorry for the delay. I have been thinking and plotting about this and here’s my basic summary. I am interested in determining the WEAKLINK in each aspect of the summary. Then we can send out a basic summary, with the next steps clearly laid out. Summary: List the ideas we want to see this year–choosing ones that can reasonably occur. Brief summary of the State of AMPY. Summarize our NEEDS, RESOURCES, and RECRUITS listing that we did at the end of the session. Potential Solutions: free designs, establish work crews by proximity? swan song for the lawn? Went around the circle, each person introducing self and expressing what is their passion. 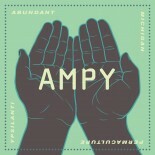 AMPY started a year ago, systems developed, many folks participated, coming & going. Ordered a lot of things, planted a lot of things, worked at many people’s houses. – don’t have to be an expert, can do the research. When get enthused and come up with great ideas, how to diffuse the info, and build on that together. How to keep energy networks and work going. Have 1000s of trees for planting this year. 65 acre farm. Potential if steward well, could manage the whole farm and spread out to another farm and another, and what are we producing is a whole , new economy. Want to time so that info at monthly meeting relates to activity at workdays, at which we work with what we’re learned about. When people are passionate about activities, how to engage them, and in a way they don’t feel overwhelmed. Events Calendar – Helen suggested that this needs to managed by someone; perhaps as a 6 month shift. Can give 6 people or 12 people.=? 3 sections of the page. A section of the page where anyone can post anything. Monthly newsletter goes out on that. ??? What would like to see as far as permaculture techniques? Help people decide what to try and grow. Extending the season w hoop houses; designing & planting techniques. Fermenting benefits, way can make own beverages, what can do with fruit & things. But open so can have water lilies etc. Stealth well as a add on. (3) Workshop – Fiber – how to grow, craft & other uses. Have several locations of people who want to implement. Can use as fuel source and use as animal feed. Moving water – treddle pumps – building one for several years. Communication skills, community building & what’s involved in that. A city parallel to …??? There is a lot off of grove road next to plating factory that we could take over. Having a long range goal that we’re going to have a plot of land. Foraging w someone who knows plants and knows building. Bridget – Class about plants care, propagation; Fermentation . Medicinal – Heather & Diana? Melinda(?) Dunn join with her for medicinals. Jeff Y – for builder, chicken coop ? Ian can explain to use & do something with us? Assemble Dawn Farm crew = who? Those 4 people would come out and finish. Watch over during the year. Sheldon – if aware and available. Jesse, Bridget, Elliott meeting on 2/15. Meeting notes to be sent out or posted. Need for greeter who takes initiative with new people. Patrick – Concrete ideas ?? ?